The Commodore Amiga 2000 is for me the most iconic computer I ever had. 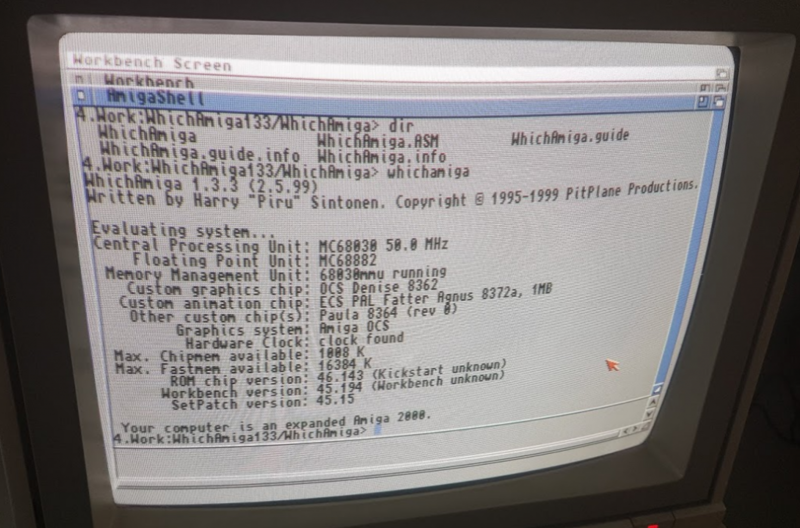 The power of the Amiga compared to it’s same era IBM PC’s and Apple Mac was amazing. It was the first time people were able to buy a workstation with multimedia capabilities. Coming from the C64 this was a massive and powerful beast. The expansion possibilities were amazing. Even now in 2019 you can buy expansions for adding IDE or USB.